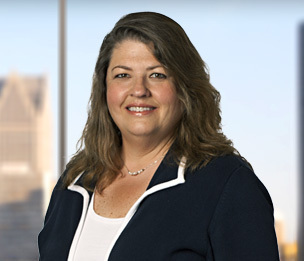 Laura A. Weingartner is a member whose practice involves all aspects of complex commercial real estate transactions, including renewable and alternative energy lending and project finance, commercial leasing, acquisition, disposition, project siting and zoning, affordable housing development, and landlord-tenant litigation. Prior to joining Dykema, Ms. Weingartner worked in marketing and sales for a developer of financial planning and information management software applications. Ms. Weingartner has been involved in all aspects of complex real estate transactions, in which she has represented developers, investors, lenders, REITs, health care systems, manufacturers, municipalities, public school systems, religious institutions, and other public and private entities. "Family Law Reform in Morocco: the Mudawana: Modernist Islam and Women's Rights in the Code of Personal Status"
"Case Digest: Morrison v. City of East Lansing"
82 U. Det. Mercy L. Rev. 343, 660 N.W.2d 395, Mich. Ct. App.